Your Disney Afternoon collection is about to expand! 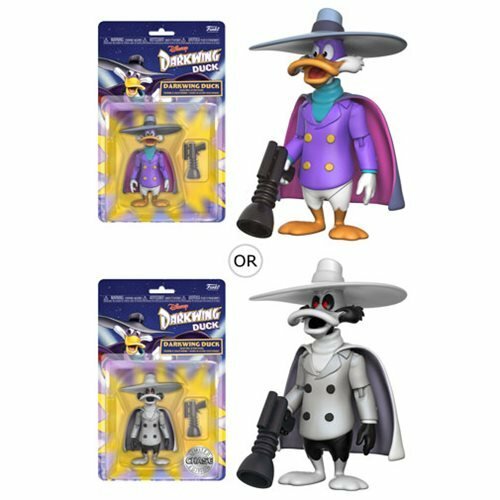 This Darkwing Duck 3 3/4-Inch Action Figure has 5 points of articulation and includes his gas gun. Comes packaged in blister card. Ages 8 and up. Please note: This item may have variants randomly inserted throughout the production run. We cannot accept requests for specific variants, nor can we accept returns on opened items. The item you receive may be different from the one pictured.